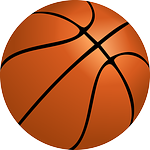 –The Knoch boys defeated Kiski Area 89-52 in the Freeport Round Robin Tournament Thursday. The Knights will meet Eden Christian tonight at 5pm. Hear the game with Scott Briggs on WISR beginning at 4:45pm. The Freeport boys defeated Eden Christian 61-45.